John Adams and Benjamin Rush were two remarkably different men who shared a devotion to liberty. Their dialogues on the implications of fame for their generation prove remarkably timely—even for the twenty-first century. Adams and Rush championed very different views on the nature of the American Revolution and of the republic established with the United States Constitution; yet they shared one of the most important correspondences of their time. John Adams and Benjamin Rush met in 1774 as members of the Continental Congress—Adams from Massachusetts, Rush from Pennsylvania. In 1805, after Adams was defeated in his quest of a second term as the new republic’s second President, the two men self-consciously commenced an exchange of letters. Their recurring subject was fame. 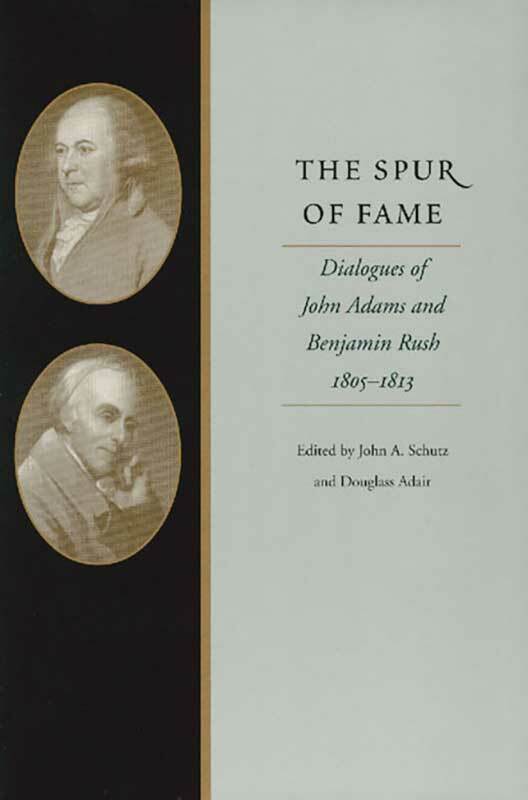 This emphasis on fame was crucial, Adams and Rush believed, because on the fame attached to individual leaders of the Revolutionary generation would depend the view of the Revolution and of the Constitution and republican government that would be embraced by generations to come, including our own. The new Liberty Fund edition of The Spur of Fame reproduces a text originally published by the Huntington Library. Douglass Adair (1912–1968) edited the William & Mary Quarterly from 1947 to 1955, and was a greatly influential professor and writer. Adair co-edited Origin and Progress of the American Rebellion with John A. Schutz in 1961. Illustrations, location of the letters, index.